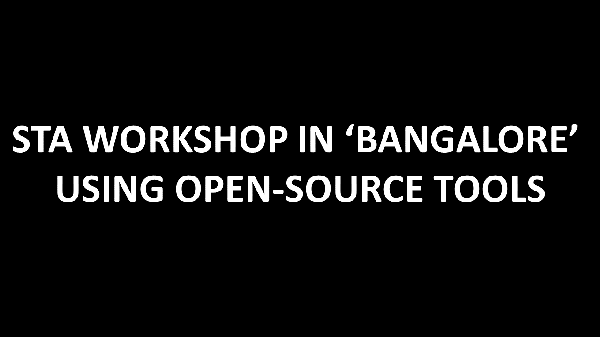 First ever STA workshop using open-source tools in Bangalore!! And a great chance to meet you all in person……!! This is exciting…I mean, for years, I have been connected you ‘online’. And now I think it’s time to meet you in real. One important thing…”This is only for freshers, interns and new entrants in VLSI”…After interacting with freshers over emails, LinkedIn, Facebook, I realized there’s a lot of untapped potential that needs to come out and present to the world. Guess what…This workshop is your chance to show the world how innovative you can be, how qualitative you can be and how much more you can contribute to semiconductor industry…. Final dates, invitation link, payment procedure, refund policies, and many more will follow soon…So stay tuned….Stay excited…Gear up….We are meeting soon…..!! !